Hosted by director Frank Henenlotter, producer Mike Catalano and subject Mike Diana. Cinedelphia Film Festival 2018 WINNER: Prix du Public, What the Fest?!? 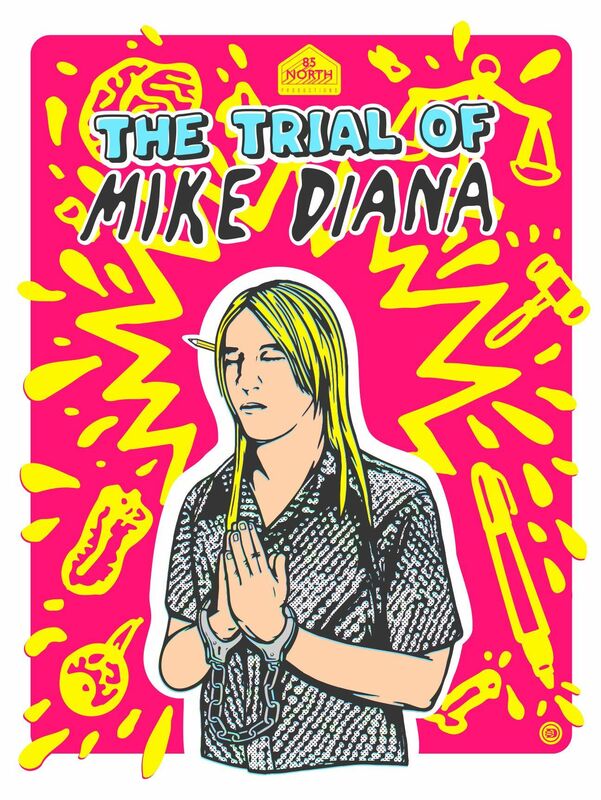 "This unexpectedly poignant doc unfolds on multiple tracks, each of which proves consistently captivating"
The handmade comic zines that teenager Mike Diana banged out in the 1980s were retina-ravaging exercises in depravity, seemingly precision engineered to antagonize the uptight right-wingers in the churches, media and legal system of his suburban Florida surroundings. And that they certainly did. Though Diana's lurid, art brut tales of sexual violence and bodily desecration were only ever sold to a small following of a few hundred, paranoid policemen and opportunistic attorneys saw his work as a threat to society (or at least, cynically presented it as such). Following an ugly courtroom process, at age 24, Diana became the first American artist convicted of obscenity. The true transgression, however, was the perversion of justice into which Diana was dragged.